No discussion of schools would be complete without some mention of the political situation at the time, and I don’t mean the differences between Democrats and Republicans, which seemed relatively minor at the time, although they might have been more important than I thought them at the time. The important differences related to questions of race, the Vietnam War, and the teachers’ union, although the governance of the city was also profoundly affected. 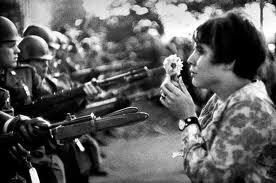 The war in Vietnam was really tearing the nation apart at every level. Every few weeks Linda and I were in Washington on one protest or another. Josh, our son, although he doesn’t remember it, attended his first demonstration when he was three months old. 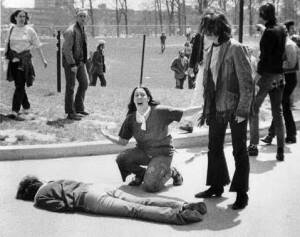 We did not consider this unsafe, as it was a peaceful protest, and it happened before the Kent State murders. There were demonstrations of teachers against the war before classes started in the morning, and there were demonstrations on weekends in the City. By that time, I had become a delegate to the UFT’s Delegate Assembly, its ruling legislative body, which was also split, with much of the membership opposing the War, and Al Shanker, our president and his executive board supporting it. At Inwood, many of the teachers opposed the War, but Hanauer and Finkelstein supported it, and became quite upset with me when I organized a picket line of students and teachers in front of the school. My idea was that I was getting kids ready to go to college, when there were lively demonstrations at almost all of the best colleges. Race and the Vietnam War also intersected. While I worked at Frederick Douglas Junior High, each morning I passed a bookstore on Lennox Avenue and West 127th Street which prominently displayed a large portrait of Elijah Muhammad, the leader of the Nation of Islam, and advertised several of his books. There was also a large sign pointing out the fact that white people were really a minority in the world. Naturally, I bought one of the books and read it. It had nothing flattering to say about whites, or about Jews in particular. The reason I mention him here is that one of the members of his Nation of Islam, Malcolm X, who had split off from that group to become a Sunni and a black separatist leader, was shot one evening in 1965 while delivering a speech at the Audubon Ballroom on Broadway, only one express stop away on the “A” train. By that time Malcolm X had moderated some of his views on race, and I had become a fan of his because of his steadfast opposition to the War in Vietnam, politics making us strange bedfellows. Martin Luther King, Jr. was relatively unimpressive at that time, only opposing the War much later. 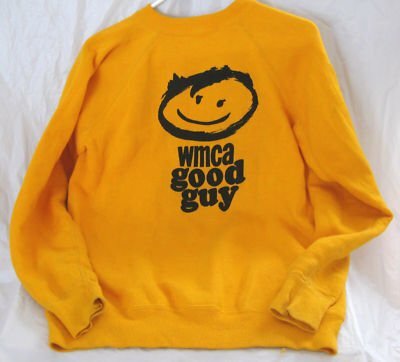 But on the day after Malcolm X was shot, I was supposed to get my yellow, “Good Guy” sweatshirt from WMCA, and I never got it. I was disappointed. Students had nominated me as their favorite teacher to WMCA for the sweatshirt. One of them was warned by the station to listen at a particular time, and to phone the station as soon as the teacher’s name was mentioned. We listened in homeroom, my name was called, there were no cell phones in those days, and we had no telephone in class, and I got no sweatshirt. The sweatshirt I didn't get, and who said little things don't matter?